Two contentious rulings by the JCA caught my eye over the weekend. Before discussing them, I will point out that I will be doing so without the advantage of all of the evidence the JCA had in the hearings. However, I think it is important to note that no punter out there has any of that evidence either. I will also note that I am not raising these two incidents as talking points because I thought the JCA got the decisions wrong. The first incident came in the two-year-old Sires Stakes heat at Addington on Friday night. Copperfield galloped in the score up and checked Flying Even Bettor, who checked Virgil. Virgil was clearly the worst affected by the chain-reaction, as he was left the furthest from the mobile arm as it approached the starting point. By dispatch time, Virgil was a good length off the gate, before he ran last. 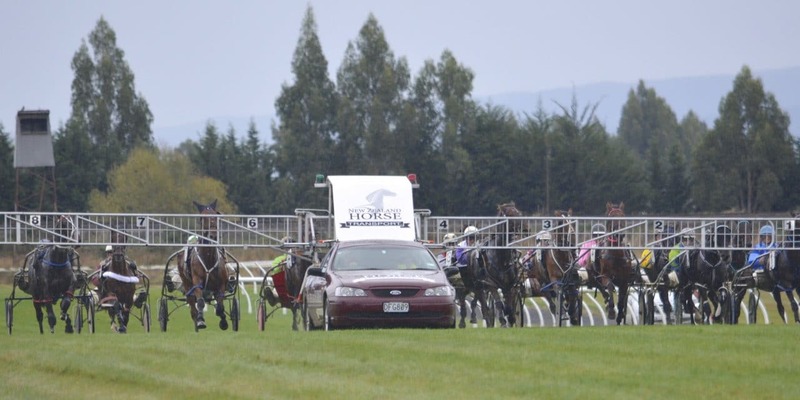 Driver Samantha Ottley did not urge the horse to catch up to the gate, was that a factor? I can not categorically say that disadvantage extinguished Virgil’s winning chances. However, I know two things. Firstly it would not have helped the horse’s winning chances and secondly, it would not have done much for punter confidence. Peter Lamb in to it early tonight. Horse checked in the score up in R1, not back in to position by start time, no worries. Start the race mate. On Saturday, Dora Explorer was relegated after clearing out to win because she interfered with Big Iron, who ran third. I can see why that decision was made, given the massive chunk of ground Big Iron lost because of the interference. However, I can also see a strong argument that Dora Explorer should have kept the race. Rule 869(A)(2) states the JCA must be satisfied that the horse interfered with would have finished ahead of the horse that caused the interference. Obviously, the JCA felt the ground Big Iron lost justified the decision to relegate Dora Explorer. But, I can only assume this. And punters who backed either horse can only assume this because no official information has been released. As this column is published, there is no published JCA ruling or detailed explanation in the stewards report. Perhaps, in the interests of punter confidence this needs to change. Perhaps, in an effort not to put off punters for life, an explanation of judicial decisions could be released to aggrieved punters immediately. This is an information and digital age. Contentious decisions are an unfortunate part of racing and nobody can control that. But, how they are dealt with can be controlled. So, lets turn the switch on instead of living in the dark. Thought there might have been a bit more discussion about Dora Explorer relegation yesterday. Pretty harsh IMO. Horse bolted in, untouched – third horse under pressure, under the whip and fell in for third beaten close to four lengths. It looked like driver Ray Jenkins nearly got his lights knocked out during an action-packed race 1 at Winton on Saturday. Enquiries and relegations would have been the last thing on his mind when Global Flight’s back hooves went awfully close to his head, after the horse lashed out when galloping. That moment was as scary as I have seen recently and thankfully Ray emerged unharmed from the ordeal. I think the absence of Dexter Dunn is most notable on the Southland and Otago harness racing scene. Dunn would almost steal races on a regular basis with his ability to control a contest. Southland and Otago owners’ loss has been North America’s gain and that was evident at the Meadowlands on Saturday night. Dunn bagged four wins taking him to 78 wins for the year. Unfortunately this week’s column must end on the saddest of notes. Many would have heard of the horrific incident at Redcliffe on Sunday night, where members of the same family were struck by the mobile. I understand a two-year-old child is in a critical condition in hospital and her father is in a serious, but stable condition. What an incredibly sad situation. I am sure everyone in harness racing is behind this family and willing them through this terrible time.